Finding the best care when traveling is very difficult. Where would you go to receive care if you become ill or are injured while traveling in the U.S. or abroad and need emergency treatment? In most cases, care is usually provided at the nearest hospital or doctor’s office, but there is no guarantee that the care you receive will be quality care. That can increase the risk that you’ll receive inappropriate care. In addition, if your medical records can’t be quickly provided to the doctors who are treating you, you’re at an increased risk for medical errors and poorer outcomes. 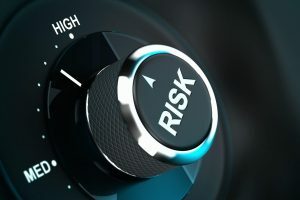 The paper includes information on the five pillars that should be included in any comprehensive health risk management plan and what steps you should take now to lower your risks and achieve your health and wellness goals. Healthy Lifestyle Characteristics and Their Joint Association With Cardiovascular Disease Biomarkers in US Adults, Paul D. Loprinzi, PhD, Adam Branscum, PhD, June Hanks, PhD, DPT, PT, Ellen Smit, PhD, Mayo Clinic Proceedings, http://www.mayoclinicproceedings.org/article/S0025-6196(16)00043-4/abstract. Morbidity and Mortality Weekly Report, PW Yoon, ScD, MT Scheuner, MD, M Gwinn, MD, MJ Khoury, MD, PhD, Office of Genomics and Disease Prevention; C Jorgensen, DrPH, Division of Cancer Prevention and Control, National Center for Chronic Disease Prevention and Health Promotion; S Hariri, PhD, S Lyn, MD, EIS officers, CDC, http://www.cdc.gov/mmwr/preview/mmwrhtml/mm5344a5.htm. Improving Diagnosis in Healthcare, Erin P. Balogh, Bryan T. Miller, and John R. Ball, Editors. http://www.nap.edu/21794. Medical error—the third leading cause of death in the US, Martin A Makary, Michael Daniel, BMJ 2016;353:i2139, http://www.bmj.com/content/353/bmj.i2139.long. Health View Services: 2015 Retirement Health Care Costs Data Report, https://www.hvsfinancial.com/PublicFiles/Data_Release.pdf.